A Pennsylvania woman is suing Red Roof Inns, alleging violation of disability law. 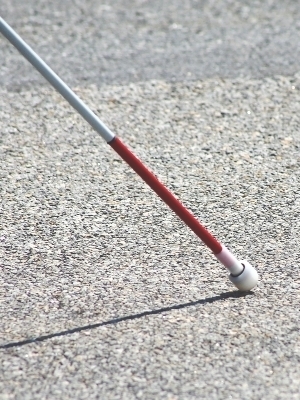 Michelle Sipe, who is visually impaired, filed a lawsuit Sept. 18 against Red Roof Inns Inc. in U.S. District Court for the Western District of Pennsylvania, seeking injunctive action and alleging its business violates the Americans with Disabilities Act (ADA). According to the complaint, Red Roof is currently out of compliance with Title III of the ADA because its website is not accessible to blind and visually impaired consumers. Sipe contends consumers like herself use screen reading software or other assistive technologies to access content, and that technology to render online information is readily available and cost effective. She alleges Red Roof’s site contains “digital barriers” which unlawfully discriminate against visually impaired consumers. The plaintiff requests the court require Red Roof to retain a mutually approved consultant to perform periodic automated accessibility audits to oversee the defendant’s compliance with the ADA, create an official accessibility policy and post the information directly on its website. Sipe seeks declaratory judgment, a permanent injunction ordering compliance, attorney fees and court costs. She is represented by attorneys R. Bruce Carlson, Benjamin Sweet and Stephanie Goldin of Carlson Lynch Sweet & Kilpela in Pittsburgh. U.S. District Court Western District of Pennsylvania 2:15-cv-01217-AJS.